Flexible for Metal blades have bimetal construction for long life and greater flexibility. 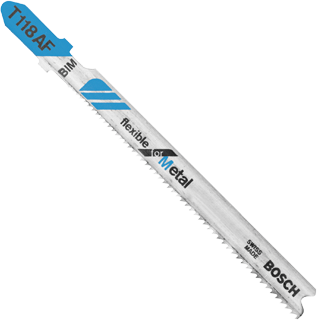 Designed for cutting sheet metal and thin metals (ferrous and non-ferrous). Ideal for straight or curved cuts. T-shank design for maximum grip and stability which fits 90% of all current jigsaw makes and models.